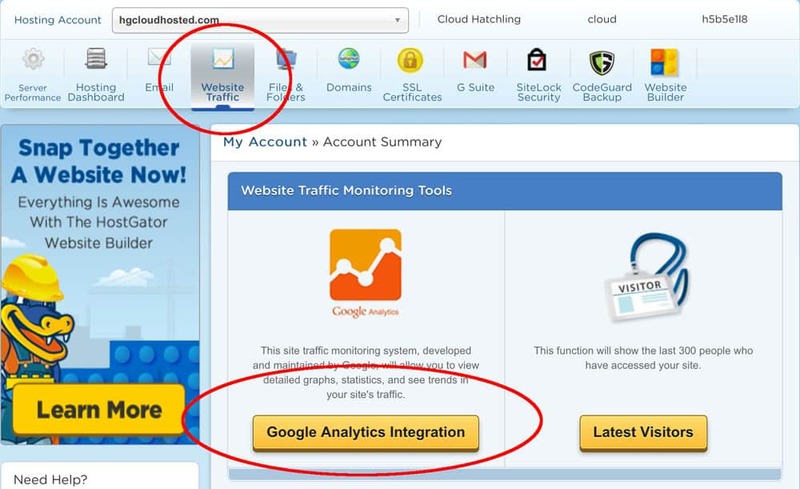 Guide to HostGator Cloud's Dashboard - The Best Control Panel Ever! Especially for beginners, it can be complicated, daunting, and frustrating to figure out the technical aspects. You notice this most when you load up the standard “cPanel” that comes with most web hosts. This is the console or dashboard used to manage the server and settings. If you’re a beginner to web hosting, the control panel is a daunting place. Not only is the language and jargon complicated, there’s no logical place to start. Isn’t it about time one of the major web hosts created something more up-to-date? More user-friendly? HostGator is typically known for its budget shared hosting. But we recently got our hands on their new cloud hosting service. The performance blew us away. 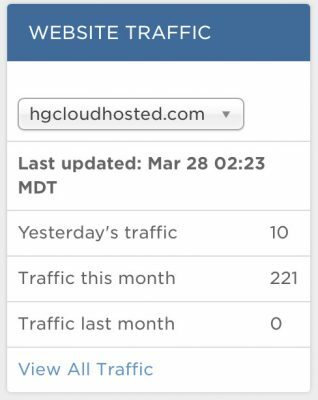 We set up a test site and monitored the speed and uptime of HostGator Cloud. It recorded 100% uptime and some of the fastest speeds we’ve tested here on Bitcatcha. But here’s the thing we really loved about it: the new dashboard! Bitcatcha readers get 30% off HostGator Cloud. Simply enter “bitcatcha” at the HostGator Cloud checkout. In this post, we’ll run through all the unique features and help you get to know HostGator’s dashboard and control panel a little better. There are two parts to HostGator Cloud’s dashboard. And it helps to think of them as beginner and advanced options. Where we manage billings and general web host settings. (Beginner). Let’s start with the customer dashboard. The first screen is where you edit all the usual account and billing details. You can also change your passwords and preferences here. But let’s skip straight to the ‘hosting’ section. Unlike some other hosts, you can set up your website, manage the settings and see your stats directly from here. Here, you’ll be prompted to choose the domain you want to set up WordPress with. Confirm the domain and enter your admin details. Then hit ‘install now’. So, technically it’s two clicks, but it’s still super easy! You now have a very rudimentary website up and running. All you have to do is follow the prompts to edit the design and add content. The first thing you see is a map showing exactly where in the world your data centers are based. 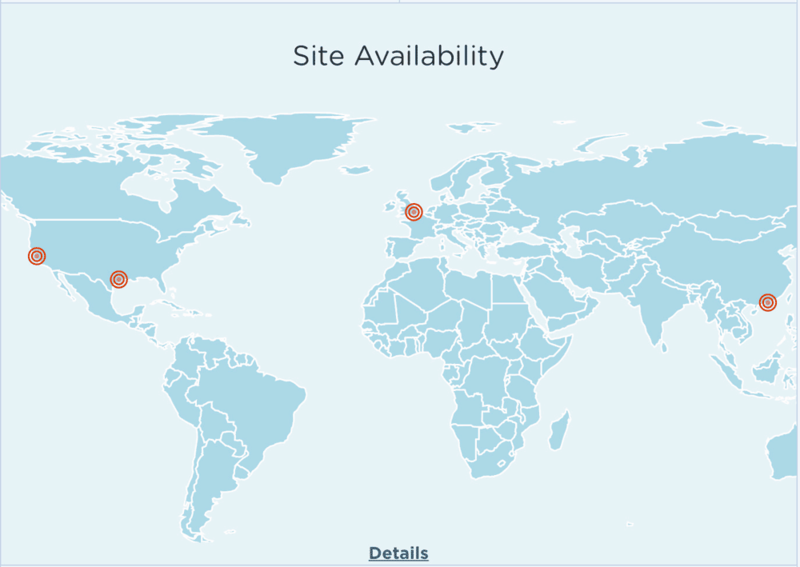 With HostGator Cloud, you can see there are four servers spread across the world. (On a typical ‘shared host’, you’ll get just one server location.) It means you’re going to get fast loading speeds no matter where your audience is. 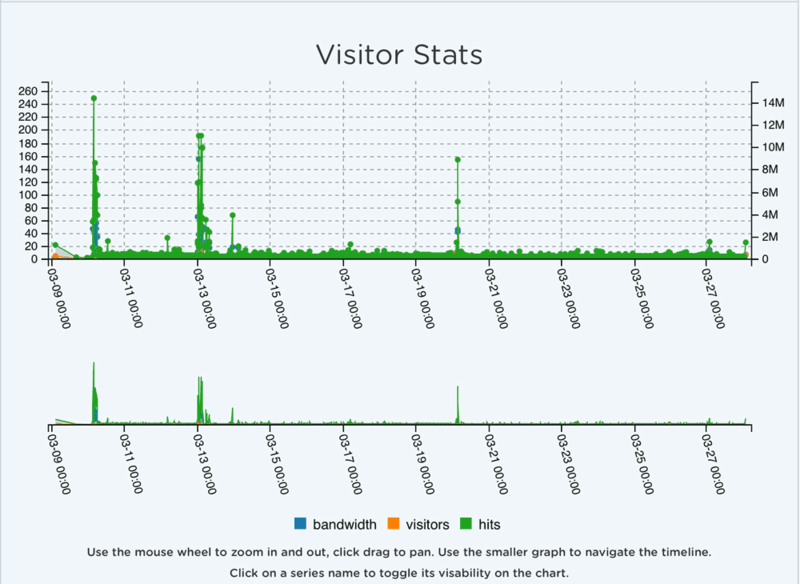 You also get a quick snapshot of your website hits and visitors. It’s no substitute for a detailed Google Analytics dashboard, but it’s great as a quick glance. Step 6: Are You Using Too Much Resources? HostGator Cloud suggests trying to keep these dials below 70%. Any more than that, and it might be time to upgrade. As you can see on our small test site, we’re well within the 70% margin. 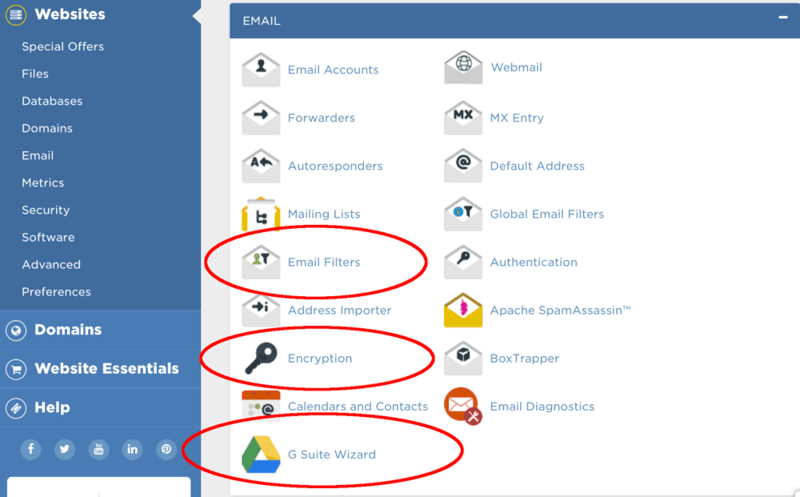 HostGator Cloud also comes with a handful of added extras you can unlock right here in the dashboard. In particular, $100 free advertising with Bing and Google. Enter the new email you want to create and add a password. You’re good to go. If you want a more detailed insight into your website traffic, you can integrate Google Analytics right here in the dashboard. Beginners will want to keep it simple and use the one-click WordPress installer mentioned earlier. 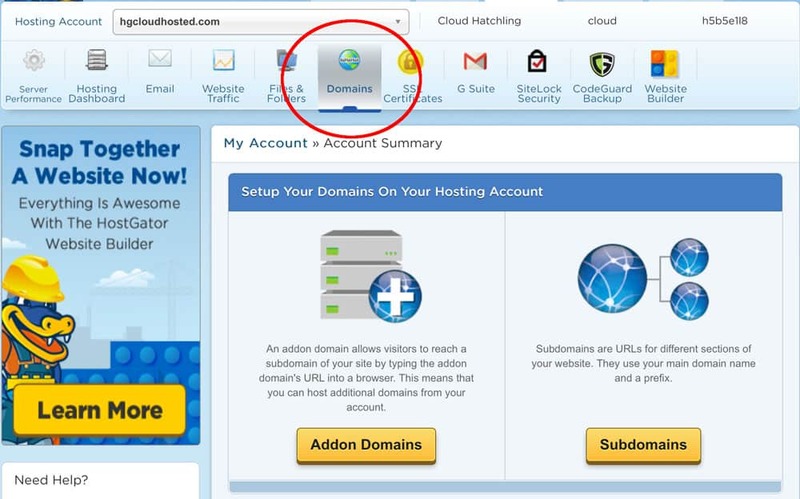 HostGator Cloud gives you a super easy way to create addon domains (to host additional domains from your account) and subdomains. Subdomains are simply URLs that lead to different parts of your website. You don’t often see this option presented as clearly and simply as HostGator’s. HostGator Cloud gives you free access to an SSL certificate. (This is a secure encryption for your site – essential for online stores or anyone processing customer data). If you’re running the ‘Hatchling Cloud’ package (the entry level), you’ll need to upgrade to ‘Baby Cloud’ or ‘Business Cloud’ to access the SSL certificate. Step 13: Ramp Up Your Security And Back It Up! There’s nothing worse than getting hacked or losing all your website data. That’s why security and backups are right at the top of my list for web host essentials. 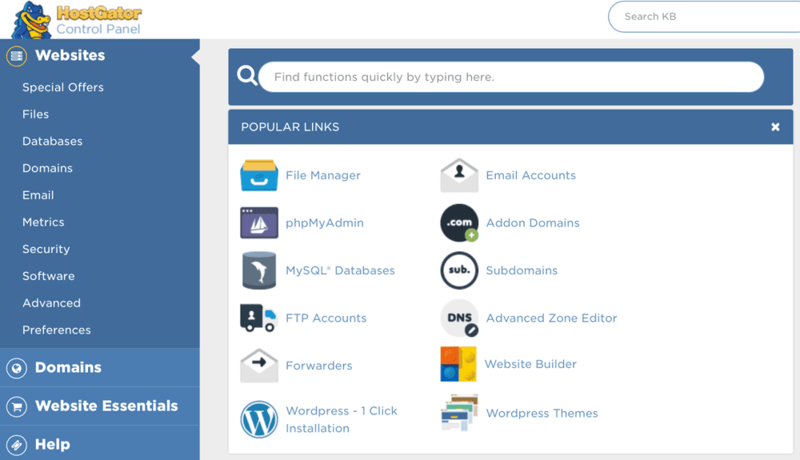 HostGator’s dashboard makes it easy to keep control. Enable the SiteLock security, and HostGator will regularly (and automatically) scan for malware. 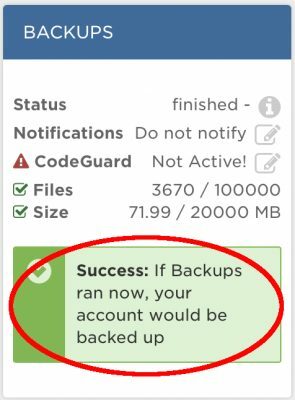 Then enable daily backups to ensure you never lose your hard work. HostGator’s dashboard is great here because you can see the security and backups working. It’s peace of mind. When you’re running a website, you need to know there’s a good support team to help. Just in case something goes wrong. The HostGator dashboard has a simple and intuitive way to submit a problem. Even better, it lists all your open and previous support questions, so you can track the progress and chase it up if you need to. Verdict so far: So, that covers all the essentials in HostGator Cloud’s customer dashboard. As you can see, you can manage all the important stuff from this simple dashboard. No jargon, no technical know-how needed. 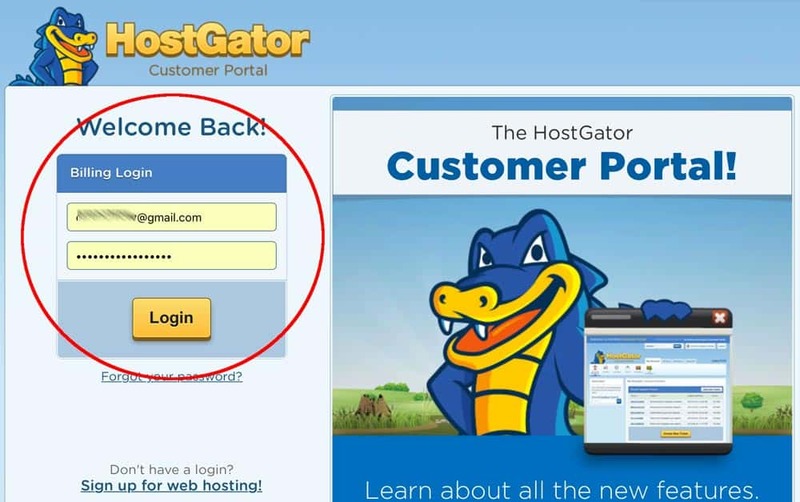 HostGator have done a great job of making the experience as user-friendly as possible. If you’re a beginner or you don’t want to fiddle with the advanced features, you can manage (pretty much) everything from this one customer dashboard. 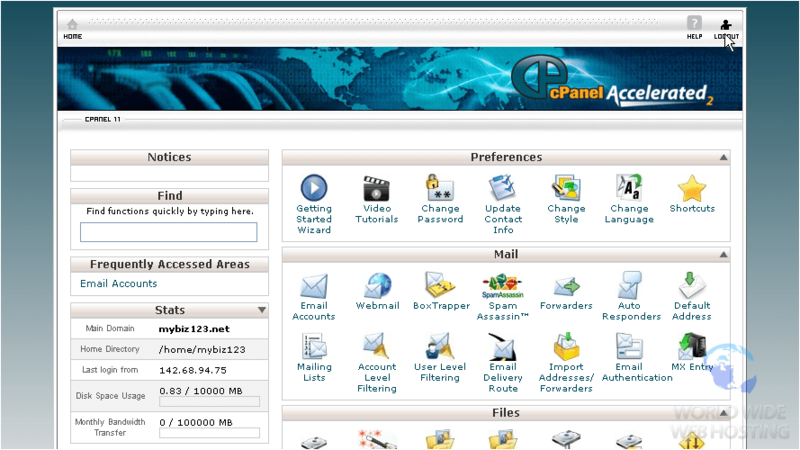 But, if you want a little more control and a handful of advanced features, you’ll want to load up the cPanel. Let’s take a look. HostGator’s control panel contains most of the features listed above, but it also expands your options for more advanced users. On the right-hand side, you’ll see all the essential stats at a glance. Highlights include web traffic from yesterday, last week, and the last month. After that, you’ll get an update on your backups. This is one of our favourite features of the dashboard because it gives you instant reassurance that your website is safe. Everything you need to design and improve your website is found right here in the control panel. On the left-hand side you’ll see a handful of choices including ‘themes’, ‘plugins’, and other one click installs. You’ll remember we talked about uploading files on the customer dashboard. Well, here you can explore the advanced features. Again, you can upload website files (like a WordPress theme zip file) as well as plugin files or images. You can also use the ‘directory privacy’ option to add a password to all files. Great for extra security. If you prefer to use an FTP (File Transfer Protocol) to securely transfer your files to the server, you can do that too. You can easily create and categorise your web disks (where your files are stored). And lastly, you can backup all your website files at the click of a button. The database section on HostGator’s control panel is predominantly for advanced users. If you’re just running a blog or small website through WordPress, you probably don’t need to worry about this. (All you need to know is that the database is where all your files are stored and retrieved from, and MySQL is the programming language used to manage or edit the database). But for advanced users, HostGator’s dashboard gives you simple access to change your database settings to fit your programming needs. Setting up a simple email address on your web host can be done on the customer dashboard as explained earlier. However, if you want to tweak the settings, set up filters, autoresponders and encryption, this is where you’ll find all these options. You can also use this space to install ‘G Suite’ which allows you to integrate Gmail, shared Google calendars and Google Drive features to your website. (Note: this usually comes at an additional cost). As well as the standard HostGator security features, you can tweak your own settings. In particular, you can block IP addresses (if a particular IP address is spamming your website, for example). You can also block ‘hotlinking’. This is when other sites display your images or files on their site, using your bandwidth and resources to do so. Finally, advanced programmers can access SSH (Secure Socket Shell) which gives you a secure method of accessing a remote computer (if you want to securely upload files that are located elsewhere, for example). This is another advanced option for programmers. 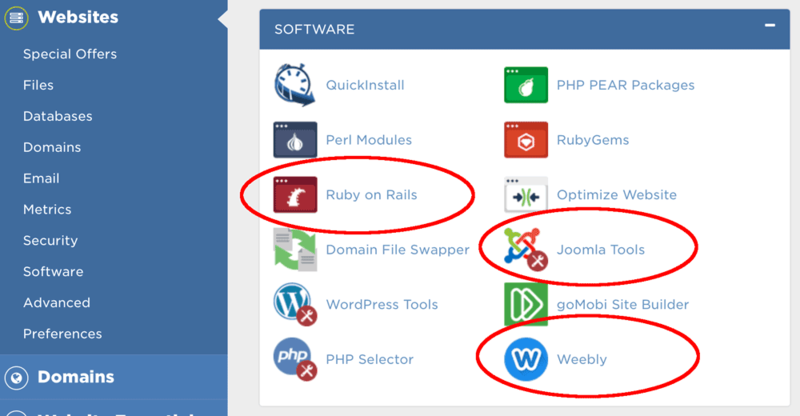 If you’re looking to build a website using Ruby on Rails, for example, you can quickly install the software to do so. You’ll also find alternative software to WordPress in this section including Weebly and Joomla. Essentially, it gives programmers and webmasters a large amount of choice and flexibility for creating a website in any language and using whichever architecture they like. Bitcatcha readers are entitled to a 30% discount on HostGator Cloud. 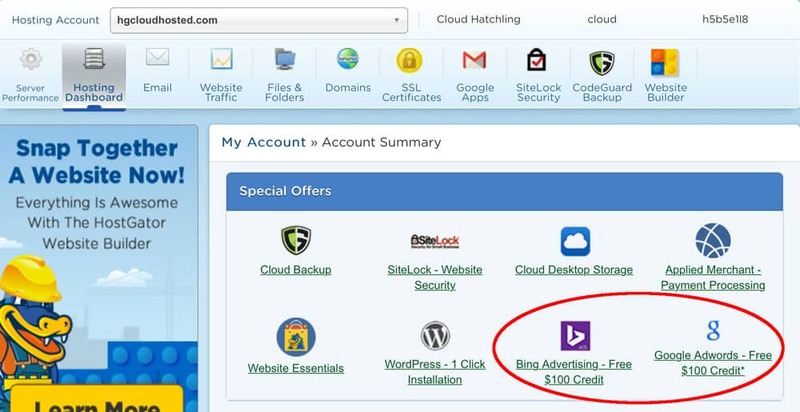 Simply enter “bitcatcha” at the HostGator Cloud checkout. Learn more. 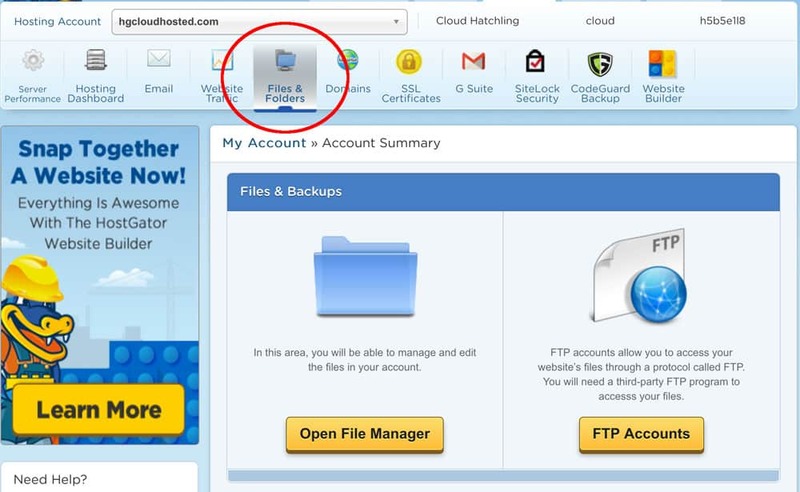 HostGator Cloud isn’t just fast and reliable, it’s also user friendly. Its customer dashboard and control panel are perhaps the most intuitive and straightforward we’ve ever used. And they haven’t sacrificed any technical or advanced features to make it happen. Power users will still find all the programming tools and server control they desire. But at the same time, beginners will feel a lot more comfortable. Next, read our in-depth review on the performance of HostGator Cloud.